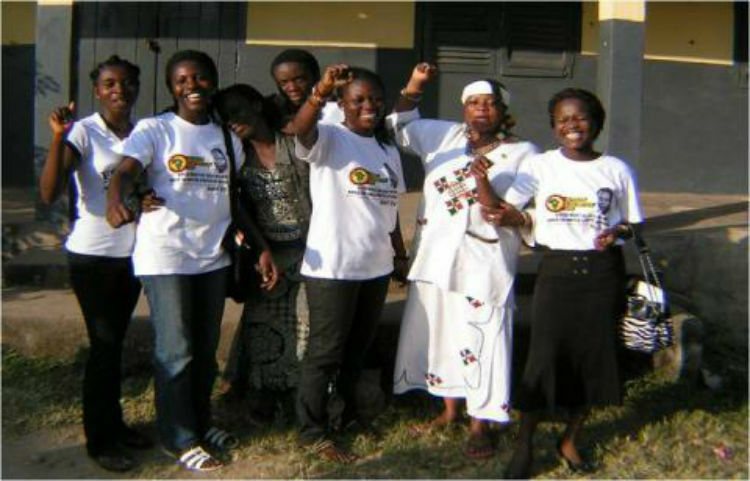 The All-African People’s Revolutionary Party (A-APRP) understands that the liberation of African people cannot come to reality without the effective and genuine liberation of African Women. The A-APRP also understands that African Women cannot fight a liberation struggle separate from the broader liberation struggle of African People. The two go hand in hand. The manifestation of this understanding in practical terms gave birth to the All-African Women’s Revolutionary Union (A-AWRU) in 1980. The A-AWRU is responsible for insuring that all vestiges of sexism are rooted out of our party (and the larger society), that women and men are educated about the revolutionary role of women in the African Revolution and to insure that the voice, interests and energies of African women are completely integrated into every aspect of our work to build the A-APRP and a free African Nation. All women who join the A-APRP are automatically members of the A-AWRU. For more information about the A-AWRU, please review Some Aspects of the A-AWRU at the links below. Note: This link is a PDF file and requires Adobe Acrobat to open. Note: This link is a Word file and requires Microsoft Word to open.